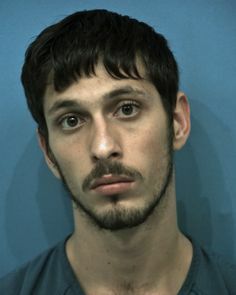 A Texas teenager with no criminal record faces from five years to life in prison for allegedly making and selling pot brownies. Possession of up to 2 oz. of marijuana in its dried-plant form is a misdemeanor in that state. However, possession of hash oil is a felony — and that’s what 19-year-old Jacob Lavoro is accused of using to infuse THC into his culinary creations. How much hash oil Mr. Lavoro used in what is reportedly a batch of brownies weighing about 1.5 lbs., is undetermined — and likely going to be the linchpin of his criminal defense. One pro-weed-legalization report breezily states he used only a “few grams” of hash oil. Meanwhile, police can’t tell right now how to separate the hash oil from the butter, cooking oil, cocoa and other ingredients Mr. Lavoro also may have used, so they’ve calculated the amount of hash oil at more like 660 grams. I suspect somewhere between these estimates is the truth. What all of these news reports and Mr. Lavoro’s defense attorney are not bothering to explain at this point is hash oil’s potency and potential to harm. Let’s do some math — and give Mr. Lavoro a very, very big break here. Now, let’s consider that the average serving size arbitrarily determined by state legislatures (including Colorado’s, where I live) for THC-infused edibles is 10 milligrams. And OK, let’s cut Mr. Lavoro another small break and assume his hash oil was 80 percent THC. That would mean we’re now talking about a batch of brownies containing 320 average serving sizes of the drug. Now let’s say Mr. Lavoro somehow managed to measure all of his brownies so precisely that he knew exactly how many average servings of 80 percent THC were in every square he cut. And let’s say he wanted to do what practically all of Colorado’s state-licensed marijuana-edibles shops do: he wanted to stuff six average servings into just one of his brownies. That means Mr. Lovoro could’ve sold about 60 brownies containing six average servings of 80 percent THC. Now is a good time to mention Levy Thamba, another promising young man with no criminal record. He was 19 when he traveled to Denver earlier this year with friends from his university in Wyoming. They were bent on visiting Colorado for Spring Break — and on trying marijuana for the first time. Could they have experimented with the drug in Wyoming? Of course. But legal drug markets encourage new use partly because they give the false impression of consumer safety — so Mr. Thamba and his buddies traveled to the land of legalization instead. After eating an edible infused with six average servings of hash oil, Mr. Thamba horrified his friends by exhibiting paranoia and hallucinations before hurling himself over a hotel’s balcony to his death. Which brings me back to Mr. Lovoro — and what stand to be painful lessons in law and science for him and his family. I also see many important lessons here for journalists, many of whom today are largely shrugging off the seriousness of what they describe merely as pans of “pot brownies,” opting instead to focus on what they consider “drug war insanity.” Their unthoughtful and incomplete reporting presents the false dichotomy of legalization or incarceration — and only further exposes our country’s rush to legalize a substance far too many of us don’t understand. This Lovoro case already serves as a poignant example of our country’s need for a balanced, health-first approach to drug policy that rejects the extremes of incarceration and legalization. It firmly underscores the wisdom of the “third-way policy” advocated by Smart Approaches to Marijuana (SAM), a national, volunteer-driven, nonprofit organization co-founded by former U.S. Rep. Patrick Kennedy and advised by Dr. Christian Thurstone (whose website you’re reading). SAM has outlined some of its recommendations concerning legal reform, and will meet later this year to continue detailing them. Christine Tatum is a veteran journalist whose career stops include the Chicago Tribune and The Denver Post. She was elected to serve as 2006-07 national president of the Society of Professional Journalists. You can read more about her here. Well, that is harsh, but he or someone else could die from eating too many brownies. Texas seriously needs to start educating people about the dangers of edibles.